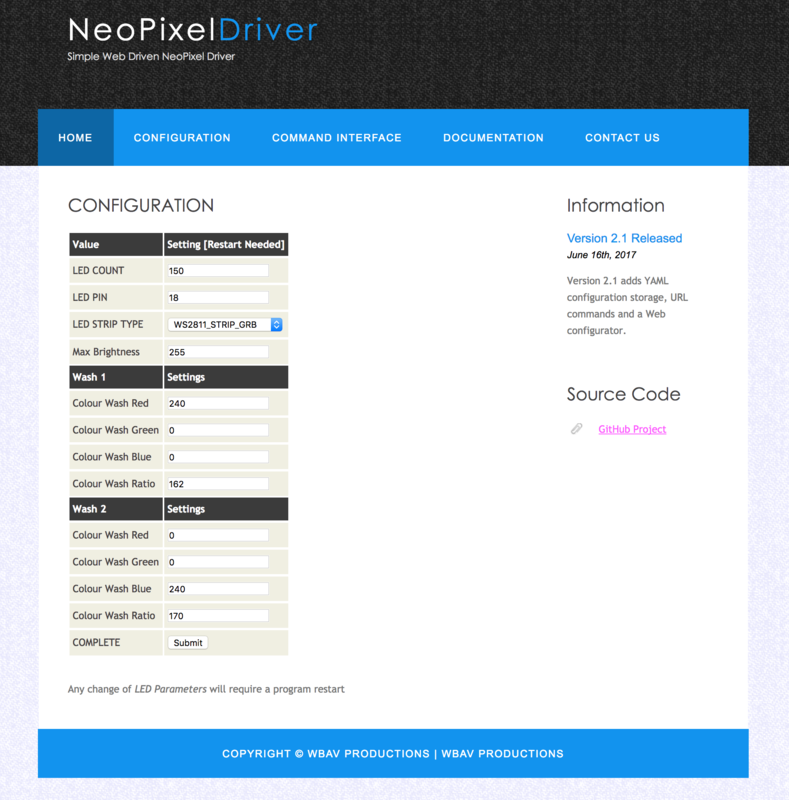 As part of set design we needed to create a simple NeoPixel driver. NeoPixels are strips of LEDs where each of the LEDs can be set to a particular RGB value. However we wanted to go further and create some dynamic patterns with effects and transitions to go between each LED scene. 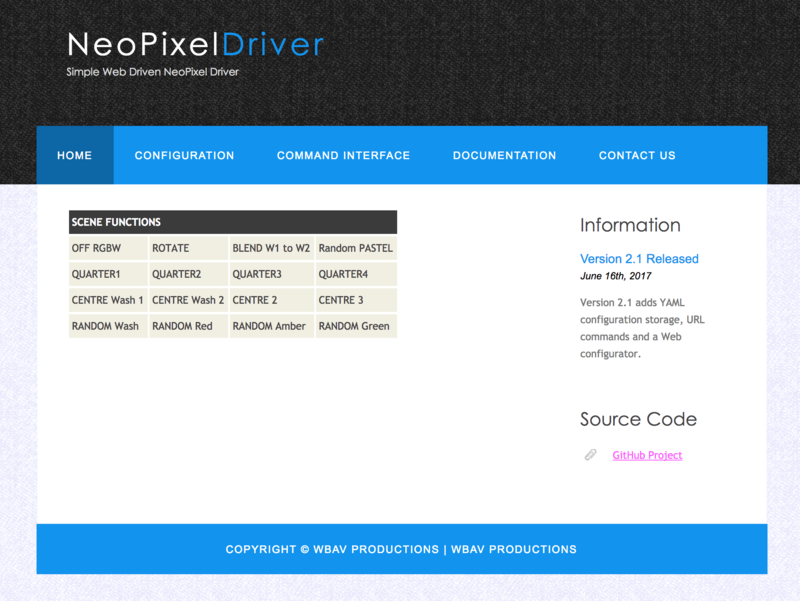 We coded the maths and driver on a Pi Zero and then used Flask to create a responsive web site that coould be driven by either automation or a production assistant. /command/neo_off All NeoPixels to OFF, all threads cancelled. Can have issues when too many threads are running. /command/centre_fade/wash Builds the fade to the colours defined in configuration. 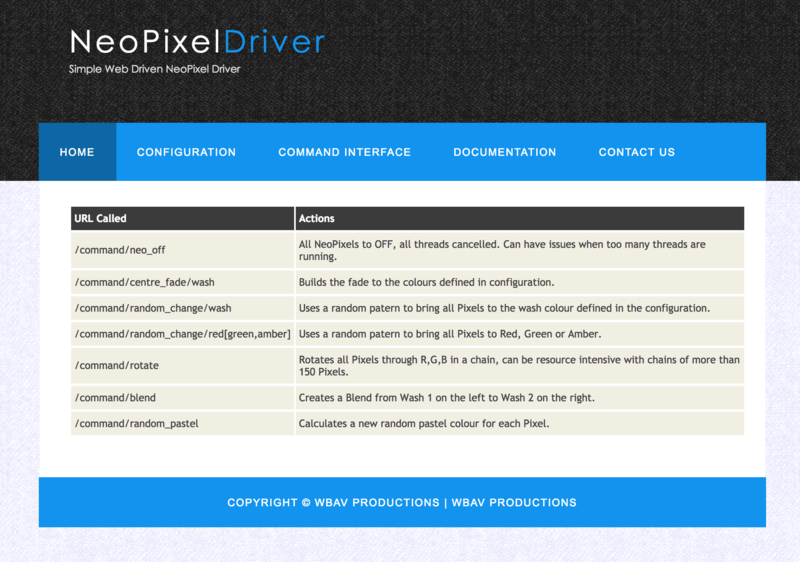 /command/random_change/wash Uses a random patern to bring all Pixels to the wash colour defined in the configuration. /command/random_change/red[green,amber] Uses a random patern to bring all Pixels to Red, Green or Amber. /command/rotate Rotates all Pixels through R,G,B in a chain, can be resource intensive with chains of more than 150 Pixels. /command/blend Creates a Blend from Wash 1 on the left to Wash 2 on the right. /command/random_pastel Calculates a new random pastel colour for each Pixel.